The team led by Abdr Architetti Associati, with Manens-Tifs, Proger and Studio Valle Progettazioni, has been awarded the competition for the design of the New Istat Headquarters in Rome. The new imposing L-shaped building, of about 58,500 m², will be realized in Pietralata area and will have facades covered with large “flakes” of travertine and facades facing the interior area entirely glazed and transparent. The project pursues the most advanced environmental sustainability criteria and aspires to LEED Gold certification through the shape optimization, the choices of technologies and construction materials, the maximum use of renewable sources, cogeneration and bioclimatic strategies. The creation of human-sized environments will be characterized by a high level of working comfort. Moreover, the project will be charcterized by a double square, one pedestrian at zero altitude and the other one will be placed on a terrace nine meters higher, which will house a “hanging forest”. This space, like the square, will be open and accessible to the public. 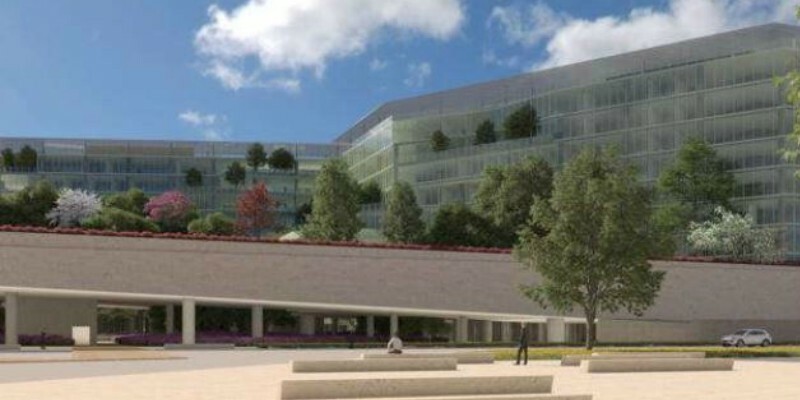 The new Istat Headquarters will cost almost 83 M€ and will be financed by INAIL (Istituto Nazionale Assicurazione Infortuni sul Lavoro). Manens-Tifs is very proud for the new achieved project that confirms the leadership of Manens-Tifs in the design of private companies and public institutions headquarters.